Yahoo: Do you need travel insurance during the polar vortex? 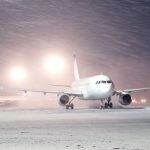 Yahoo, Jan 30 2019 – Do you need travel insurance during the polar vortex? Q: Is trip insurance actually a good investment? How much will it protect me if my plans change? It’s a great question, especially with the record-breaking freezing temperatures seizing much of the U.S. this week. Say you’ve booked a great trip, and then the day before you’re supposed to leave you find out Mother Nature has other plans. What can you do? Travel insurance costs an average of 4% to 10% of your prepaid non-refundable trip – closer to 4% for the basic level of coverage and 10% for the higher level, which lets you cancel for any reason. That premium benefit lets you call the whole thing off for any reason and get back about 75% of your non-refundable expenses, but you only use it up to 48 hours before your departure. If you’re not going to spring for the comprehensive upgrade, be sure to check with your credit card, since about a third of cards offer various types of trip protection for qualified purchases. Your card’s coverage might have certain restrictions a trip insurance plan doesn’t, so it’s important to compare based on your needs. You’ve probably noticed trip insurance as an option during checkout when buying airfare. And the products are increasing in popularity. A rep from Squaremouth, a travel insurance comparison site, says the company has seen a 28% increase in people opting to insure their trips in the past year. They’ve also seen 12% more policies purchased specifically because of weather concerns.